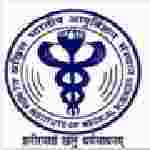 AIIMS Hindi Translator recruitment 2016-17 notification apply for 5 posts: All India institute of medical science (AIIMS) welcomes application for the position 05 junior Hindi Translator vacancies on contractual recruitment. Candidates who completed their Master degree, degree is a good opportunity.The individuals who are the occupation seekers searching for govt employments in Delhi this is the best chance to apply. Competitors read the official notification then read all the guidelines and miners precisely then apply before the last date online application got. All the interested and eligible candidates can appear walk-in – interview on 12th July 2016. Candidates Age Limit: The age of the candidate should not be less than 21 years and should not be more than 30 years. Academic qualification details: Candidates must possess master degree from a recognized university in Hindi / English with English / Hindi as a main subject at the degree level OR should have master degree from a recognized university in any subject with Hindi as a medium of instruction and examination with English as a compulsory subject at degree level OR Bachelor degree with Hindi and English as a main subject or either of the two as medium of examination and other as a main subject plus recognized diploma / certificate course in translation from Hindi to English and vice versa or two year experience of translation work from Hindi to English and vice versa in Central / state government offices including government of India under-taking / autonomous bodies. Process of selection for the job: The selection of the candidates will be on the basis of walk – in – interview. Process of applying for the job: Candidates may appear interview along with prescribed application form / original documents and self – attested copies of relevant documents at the time of interview. Important Dates: Date of interview is 12th July 2016.